During the Ottoman occupation (15th-19th cent.) 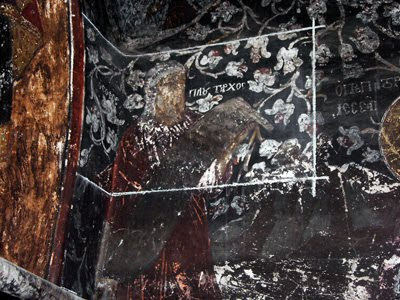 many churches and monasteries throughout Greece served as "secret schools" (Gr. 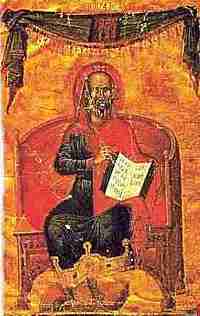 "κρυφό σχολειό") where the writings of the ancients were studied in a private environment and taught by either monastics or clergy. 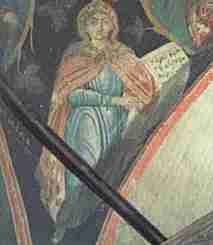 Often these schools were in the narthex of churches, which is why these frescoes are often found in this area of the church. 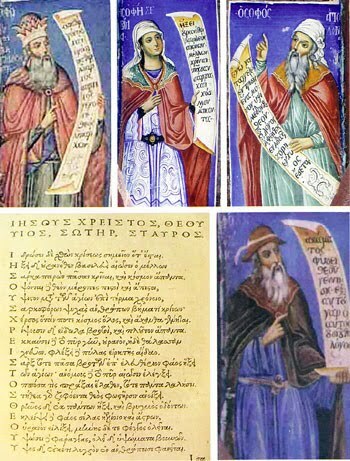 Because many ancient philosophers are said to have foretold the coming of Christ as well, they were revered by Christians for their wisdom, though not as saints (hence their depiction without halos). 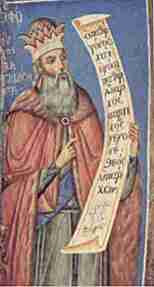 The Wise Solon (ca. 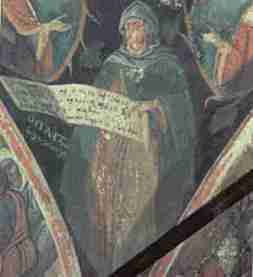 638 BC – 558 BC) in the Great Lavra of Mount Athos. 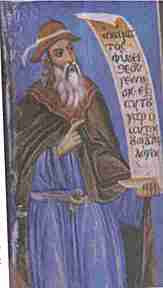 The Wise Solon (c. 638 BC – 558 BC) in the Monastery of Prophet Elias in Siatista. 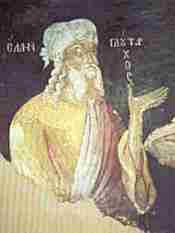 The Wise Hippocrates (ca. 460 BC – ca. 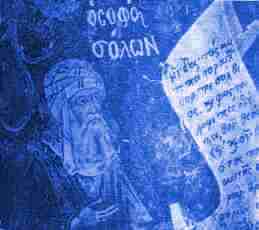 370 BC) in the National Library of France dating to 1342. 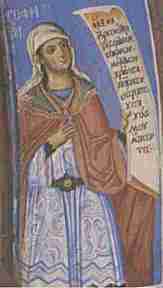 The Wise Sybil is found at the Monastery of Evangelistria in Zagorohoria and was painted in 1809. 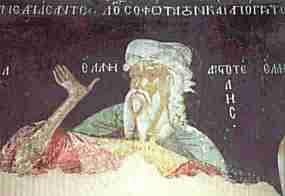 The Wise Plato is found in the dome at the Monastery of Evangelistria in Zagorohoria and was painted in 1809. 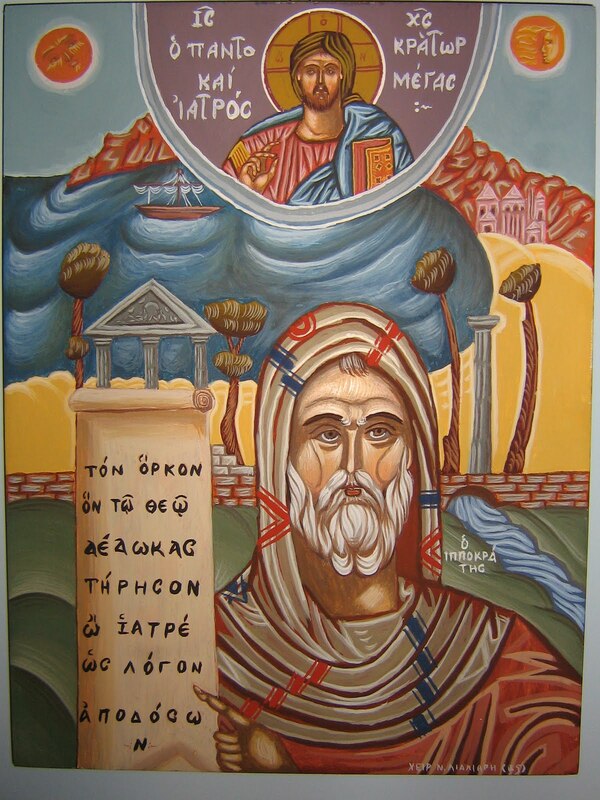 In the main gate of the Monastery of Vatopaidi, the visitor is greeted by the Wise Apollonius on the right pillar and Thales the Greek King of Egypt on the left. They were painted in 1870. 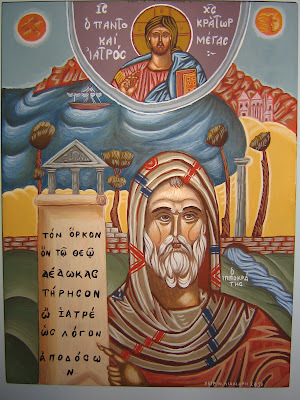 The Wise Plutarch as depicted in the narthex of the church at the Monastery of Philanthropinon in Ioannina. 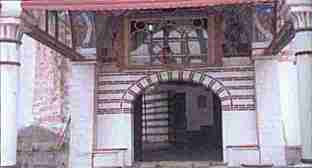 The Monastery was founded in 1272 and painted in 1542. 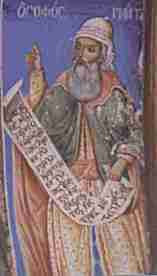 The Wise Aristotle as depicted in the narthex of the church at the Monastery of Philanthropinon in Ioannina. 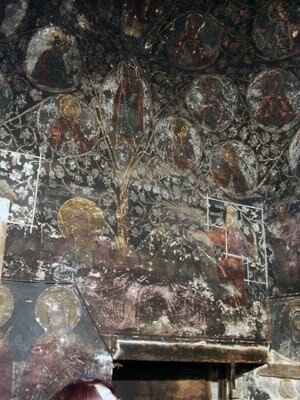 The Monastery was founded in 1272 and painted in 1542. Various ancient Greek philosophers depicted near the geneological tree of Christ in Saint Paraskevi Church in Siatista of Kozani. The church was built in 1677. 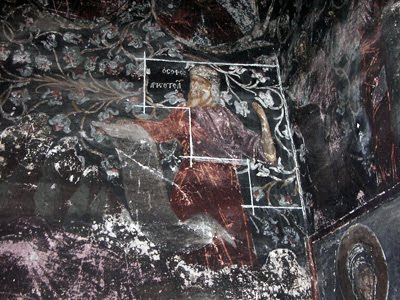 The Wise Plutarch in Saint Paraskevi Church in Siatista of Kozani. 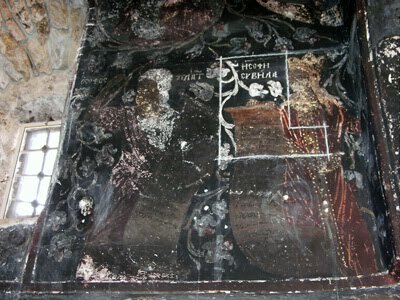 The Wise Aristotle in Saint Paraskevi Church in Siatista of Kozani. 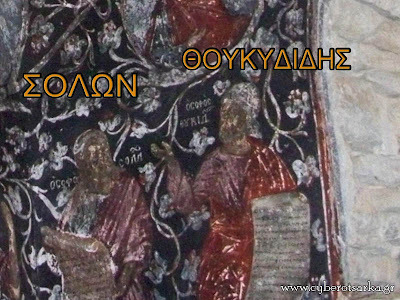 The Wise Plato and the Wise Aristotle in Saint Paraskevi Church in Siatista of Kozani. 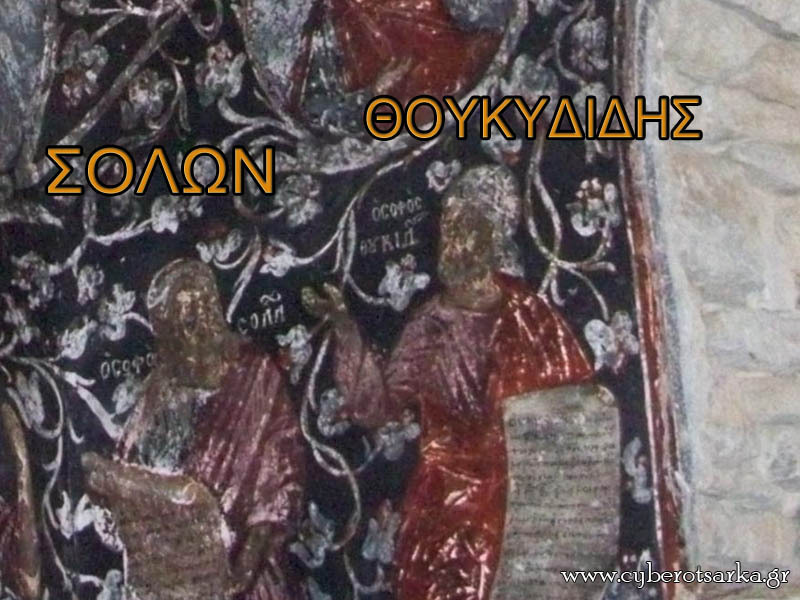 The Wise Solon and the Wise Thucydides in Saint Paraskevi Church in Siatista of Kozani. 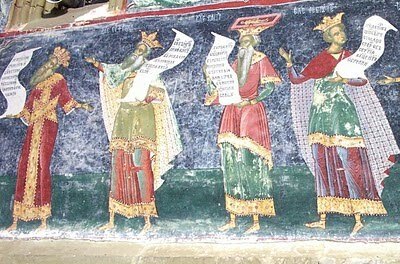 The four kings prophesied by Daniel the Prophet, among whom is Alexander the Great. Saint Achilleos Church in Kozani built in 1740. 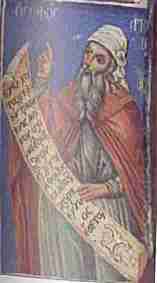 Hippocrates holding the words to his oath. Read more here, here, here, here, here, here, and here. So, How Cool Are You?